Publicly traded companies – Public limited companies are the ones whose stocks are traded on a stock exchange, must prepare their books of accounts in accordance with International accounting standards (IAS’s) In case of companies which are operating in all of the European Union, are required to prepare consolidated accounts complying with IAS’s. 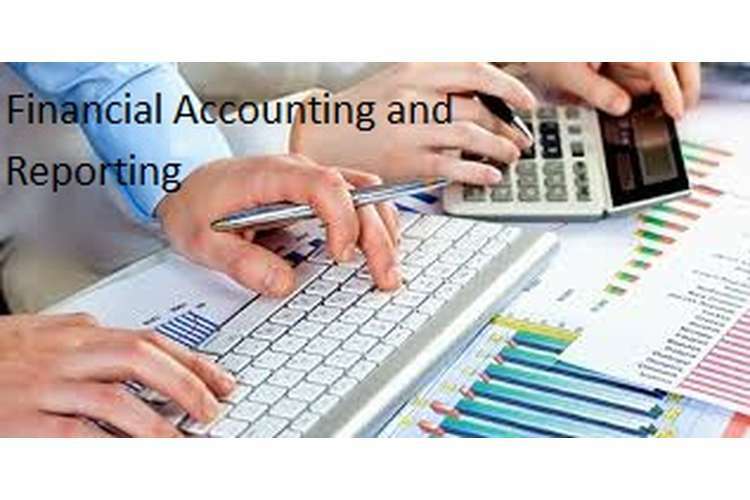 Non Publicly traded companies - While companies which are non-listed and non-publicly traded are having an option in regards to prepare their accounts complying with either the accounting guidelines set out by companies act, 2006 and UK accounting standards or International accounting standards (IAS’s). The bank account – Upon issuance of shares Atlas would receive an amount of 15 million in cash. This would increase the balance at bank by £15 million. This would help the organisation to overcome the bank overdraft and the balance at bank would be shown on the assets side of the statement of financial position. Upon the issuance the balance of bank would be standing at £13.153 million. The ordinary share capital - With a fresh issuance of stocks the balance of Ordinary Share of Atlas Plc in the owner’s equity portion of the balance sheet would increase by 10million. The issue price is £1.5 per share howsoever the face value of shares is £1 per share and the remaining portion £0.5 is the share premium. The share premium – The face value of the ordinary share of Atlas Plc is £1 per share but in the scenario where 10 million shares are issued at premium of £1.5 per share, the balance of share premium account would increase by £ 5 million. This would be reflected with an increase in the Owner’s equity by £ 5 millions. Current Ratio: Current ratio is a relationship between the current assets and current liabilities held by the organisation for a period under consideration. This ratio is a determinant of the short term solvency position and the capability of the organisation to pay its debt as and when they become due (Dowd 2002). It may be seen in the table above that Ager Ltd’s Current ratio has slightly to 1.56 reduced over the position in 2012 i.e.1.6. The ideal standard for this ratio is suggested to be 2, though the ratio of Ager is less than 2 still it cannot be said to be bad and in fact the fall over the year is not radical that it can be said to be a matter of concern for the organisation. Still, if Ager could take some initiative to sort away its short term trade liabilities in the quickest possible time it shall certainly be advisable in lieu of a better liquidity risk management and corresponded by a higher current ratio. Acid Test Ratio: Acid test ratio is another important determinant of short term solvency position of an organisation. Acid test ratio depicts the organisation capability to pay off its short term debts as and when they become due. The ideal acid test ratio is expected to be around 1. In case of Ager ltd it can be seen that the ratio for Ager has fallen over 1.2 in 2012 to 0.98 in 2013 which is near to the ideal ratio and hence is a good signage for the liquidity risk management norms of the organisation. Trade Receivable Days: Trade receivable days depicts the time duration taken by trade debtors to settle their bills. This ratio denotes the fact that whether or not the debtors are allowed excessive credit and is usually analysed in sight with industry standards/figures (Hussain 1989). In case of Ager it has been seen that the Trade receivable day’s period has risen sporadically over the year 2012. This certainly is not good sign at first instance comparatively because organisation is taking approximately 2 months to receive its payments that 1.5 months it used to take previously. Howsoever a better verdict can only be given if the figures for industry standards are also available. Trade Payable Days: Trade payable days depicts the time duration taken by the organisation to settle its creditors bills. This ratio denotes the fact that whether or not the organisation is taking full advantage of the credit facility available to it. In the purview of Ager it may be seen that the duration taken by the organisation to repay its debts has relatively remained unchanged over the year 2013 and 2012, it is usually advisable for the organisation to take the maximum possible time to repay the debts so as to maximise its cash flows. But, there remains some risk associated to the same. One is the loss of goodwill and the other is the contingent legal threat due to the delays caused. Inventory Days: Inventory days represents the ability of the organisation to fully sell its stock. It represents the number of days an organisation takes to sell its stock fully. Lesser is always better in this regards. Howsoever it is worth mentioning that industry average Inventory days varies from one industry to other. In case of Ager it may be seen that the organisation takes more days to sell its inventory that it used to take in 2012. This is certainly not a good signage and efforts to expedite the process of sales planning should be taken. Memorandum Report: Cash and bank balance are one of the most liquid assets that the organisation has. These assets are the ones which are capable of helping the organisation in priority to sail through any stages of liquidity crunches. Hence, measures to ensure adequate balances of the same are extremely necessary for an organisation. As, stage of cash crisis may force an organisation to the stage of bankruptcy as well. While evaluating the financial statements of Ager Limited it has been seen that the organisation has a bank overdraft of £ 17,000. Ager should certainly try to come over such states of negative cash balance so as to ensure a better short term liquidity risk management and ensure adequate management of working capital. Debtor’s management – Ager should take initiative to reschedule its terms of agreements with its trade debtors because it appears that the organisation is having a lot of funds locked in with its debtors which are received by the organisation in periods as much as 2 months. An expedited process of collection from debtors will certainly make available to the organisation the necessary funds. This would certainly help to reduce the bank overdraft. Creditors management – Ager should also try to extend its credit terms with suppliers so that it could get some more time for repayment of debts which as of now is less than the period in which it receives the payments i.e. 50.84 days for receipt of payments against 43.48 days for the payment to creditors. The availability of funds in this form will also be helpful in managing the bank overdraft situation. Thus, if organisation is able to properly manage the activities, it shall certainly be able to manage its counterfeits and manage the problems concerned with liquidity risk management. The dividend yield represents how much yield is being generated out of every pound invested on the equity position. Dividend cover ratio depicts that a healthy company will have a high coverage ratio, indicating its ability to pay off its dividends. In this case where dividend cover ratio is21, it depicts that Hedge limited has sufficient earning to pay dividend equivalent to twice the present dividend declared. EPS serves to be one of the most crucial variables in deciding the price of a share. Hedge limited’s EPS is determined to be 14p. P/E is one of the most popular stock analysis metrics (Watson and Head 2013). The P/E ratio for Hedge Limited is observed to be 25. This suggests that, investors in the stock of Hedge limited are willing to contribute £ 25 for every £ 1 of the income generated by the stock. Adams,C. 1977, Appraising information needs of decision makers, 1st ed. San Francisco: Jossey-Bass. Atrill, P. 2011, Financial Management for Decision Makers, 6th ed. Financial Times/Prentice Hall. Dowd, K. 2002, An introduction to market risk measurement, Wiley Publishers. Drysdale, A. 2010, The financial Controller, Management Books 2000 Limited. Fraser, L. and Ormiston,A. 2010,Understanding financial statements, Pearson Education. Hussain, A. 1989, A textbook of business finance, East African Publishers.